On February 16 and 17, 2012, Judith L. Pasewark, Administrative Law Judge (ALJ) from the Office of Administrative Hearings, Special Education Division (OAH), presided at the due process hearing in this case. At the hearing, Justin Shinnefield of Atkinson, Andelson, Loya, Rudd & Romo, attorneys at law, represented the Del Mar Union School District (District). Cara Schukoske, Director of Pupil Services, also appeared at the due process hearing for the District. Student’s parents, (Mother, Father, or Parents) appeared and represented their son (Student). Student did not appear. Constance Dalenberg also attended the entire hearing as a parental friend and advocate. On November 8, 2011, the District filed a Request for Due Process Hearing (Complaint). On November 28, 2011, Student requested a continuance of the matter. On November 30, 2011, the District joined in the request to continue, and OAH continued the hearing on the matter to January 20, 2012. On January 19, 2012, OAH granted the District’s request to continue the hearing due to attorney illness, and continued the hearing to February 16, and 17, 2012. On January 31, 2012, OAH denied Parents request for continuance, and the matter was heard on February 16 and 17, 2012, in Del Mar, California. At the close testimony on February 17, 2012, the ALJ agreed to allow the parties to submit closing briefs on or before February 27, 2012. On February 24, 2012, the District submitted its closing brief, which is marked as District’s Exhibit 13. Student submitted his closing brief on February 27, 2012, which is marked as Student’s Exhibit A. On the basis of this timeline, the decision in this matter is due March 17, 2012. Additionally, on February 21, 2012, Student submitted copies of his receipts for educational expenses, and requested reimbursement for those expenses. On February 24, 2012, the District filed a Motion to Exclude Student’s Receipts as exhibits in this matter. Student did not respond to the District’s motion. Student’s request for the ALJ to consider his request for reimbursement of educational expenses is denied. Student did not file a Request for Due Process Hearing. As a result, Student has no claim for relief or reimbursement in the District’s complaint. Further, the invoices and receipts proffered by Student have no relevance to the complaint’s issue as defined below, and the documents are untimely pursuant to Education Code, section 56505, subsection (e), which requires the exchange of exhibits five business days prior to hearing. The sole issue to be resolved in this matter is whether the District’s offer of placement and services contained in Student’s individualized educational plan (IEP) dated June 1, 17, and October 11, 2011 (collectively, the IEP), constitutes a free appropriate public education (FAPE) in the least restrictive environment (LRE). It is noted that Parents are in agreement with the proposed goals, as well as the related services of speech and language therapy, twice per week for 30 minutes, and designated instruction and services (DIS) of counseling 90 minutes per week, as offered in the IEP. The only area of dispute between the parties revolves around Student’s proposed placement. The District contends that Student’s unique needs can no longer be met in a general education setting with specialized academic instruction (SAI). As a result, the District offered Student placement at Torrey Hills Elementary School (Torrey Hills) in a special day class (SDC) placement for 15 hours per week, and the remainder of the school day in general education setting on the same campus. Parents contend that transferring Student from his general education placement at his home school of Ocean Air Elementary School (Ocean Air) will be devastating and demoralizing to Student. Student’s self-esteem would suffer when identified as a child in a more restrictive setting with a special education label. Parents further contend that there is strong evidence that Student has made academic progress in his Ocean Air placement which has provided positive changes in Student. Student needs more time in his current placement at Ocean Air in order to have a fair chance to see whether his recently developed skills will allow him to learn in the lesser restrictive environment, before Student is transferred to the unfamiliar environment at Torrey Hills, where he knows no one, and which may result in academic regression. Based upon the testimony presented at hearing, the District has met its burden of proof, and based upon Student’s academic needs at the time of the IEP, the placement offered at Torrey Hills offers Student a FAPE in the LRE. 1. Student is an eight-year-old male in the third grade at Ocean Air. Student lives with his parents within the District, and based upon his residence, Ocean Air is his home school. Student qualifies for special education and related services under the primary disability of specific learning disability (SLD) and the secondary eligibility category of speech and language impairment (SLI). During the 2010-2011 school year, Student was placed in a general education classroom and received SAI for 90 minutes, five times per week, and speech and language therapy for 30 minutes, twice per week. 2. At Parents’ request, the District agreed to advance Student’s triennial from November to March 2011. Pursuant to the Psychoeducational Evaluation, dated June 1, 2011, the District conducted Student’s assessments between March 4, 2011, and June 1, 2011, during Student’s second grade year. 3. Jeremy Owen conducted Student’s psychoeducational assessment. Mr. Owen was employed by the District as a school psychologist prior to the 2011-12 school year, and conducted Student’s psychoeducational assessment in 2011. He holds a PPS credential and is currently employed by the neighboring Rancho Santa Fe School District as a school psychologist. Mr. Owen reviewed Student’s records and prior assessments, observed Student, and administered a variety of tests. His testimony and assessment findings were credible. His testimony further supports a finding that the District considered Student’s primary language, racial and ethnic background prior to the selection and interpretation of evaluation procedures and measures. The selected measures were interpreted within the limits of their measured validity and were administered according to the standard procedures and for the specific purposes recommended by their publishers. More than one test was administered, and the assessments were performed in all areas related to Student’s suspected disability. Mr. Owen noted that Student did not have his glasses available during the assessment; however, he was given text in size 12 font, which he was able to read accurately without his glasses. Nonetheless, the assessment report provides a caveat regarding Student’s vision for purposes of making eligibility determinations. Parents did not contest the validity or findings of the assessment. 4. Mr. Owen assessed Student’s cognitive and intellectual development. He noted in his report that cognitive development is a broad term that incorporates different abilities that guide a person’s problem solving, reasoning, and conceptual skills, as well as: capacity for learned information, language, and organizing systems and a myriad of information processing skills. Specifically, tests of cognition measure (1) Student’s score compared to others his age to determine if his abilities are developmentally appropriate; and (2) the particular relative strengths and weaknesses within the abilities of Student. Mr. Owen administered the Wechsler Intelligence Scale for Children-Fourth Edition (WISC-IV) and the Woodcock Johnson Test of Cognitive Abilities (WJ-III Cognitive). 5. On the WISC-IV, although Student scores classified his global IQ within the Average range, when compared to his same age peers, his scores were inconsistent throughout his varying abilities, which suggested that his global IQ is not a valid representation of his abilities. It is undisputed, however, that Student’s cognitive scores have increased and improved since his prior testing in 2008. 6. Mr. Owen administered selected subtests of the WJ-III to supplement the WISC-IV. Student’s crystallized intelligence scores, which reflect the breadth and depth of a person’s acquired knowledge and the application of that knowledge, were consistently Average. Student’s fluid intelligence scores reflect the mental operations an individual uses when faced with a relatively novel tasks that cannot be performed automatically, such as forming and recognizing concepts, drawing inferences, comprehending implications, and problem solving. Student’s fluid scores displayed variance in tests of non-verbal reasoning. When given pictures of meaningful objects, Student displayed appropriate abilities. When given more abstract pictures, he was not as successful. 7. Student’s auditory processing abilities, which include the ability to perceive, analyze and synthesize patterns among auditory stimuli, were consistent as age appropriate. Student, however, demonstrated significant impairments in regards to visual processing and interpreting information. Visual processing is the ability to generate, perceive, analyze, synthesize, store, retrieve, manipulate, transform and think with visual patterns and stimuli. Mr. Owen noted, however, that Student’s visual processing scores should be considered with caution, as Student did not test while wearing his glasses. 9. Mr. Owen administered the Beery-Buktenia Developmental Test of Visual-Motor Integration-5th Edition (Beery VMI), which tested Student’s visual perception and motor coordination (eye-hand coordination). Student scored within the Average range. On supplemental tests, which were given to emphasize specific individual abilities involved in motor coordination, Student’s scores were impacted, ranging Low to Below Average. It is noted that the supplemental tests were timed, while the integrated tests were not. 10. Mr. Owen administered the Jordan Left-Right Reversal Test (Jordan) due to Student’s reading difficulties in accuracy and fluency. The Jordan measures the ability to interpret the positions of letters, numbers, letters in a word, and words in a sentence. This assessment, which was given to Student on two occasions, confirmed Student’s significant difficulty with reading and writing development. 11. Mr. Owen also assessed Student in social/emotional and behavioral areas. The Behavior Assessment for Children-Second Edition (BASC-2) is a rating scale which was completed by Student’s parents and second grade teacher. The ratings between home behaviors and school behaviors demonstrated relatively consistent patterns. The scores indicated that Student does not generally demonstrate externalizing problems or internalizing problems. The ratings, however, showed elevated scores in Atypicality, Withdrawal, Learning Problems, Leadership and Functional Communication Skills. 1 Student’s Behavioral Symptoms Composite, which included Hyperactivity, Aggression and Conduct Problems, was not rated as being an area of significant concern at home or at school. Student’s School Problems Composite, which reflects academic difficulties, including problems of motivation, attention, and learning and cognition, was rated as an area of Significant Concern in the general education classroom. Student’s Adaptive Skills Composite, which summarizes appropriate functioning skills at home and school, with peers, and in the community, rated emotional expression and control, functional communication, adaptability, study skills, and organization skills. Adaptive skills were not an area of significant concern at home or at school. 12. Further assessment of Student’s attentional issues was accomplished through completion of the Attention Deficit Disorder Evaluation Scale-Third Edition (ADDES-3), a questionnaire completed by Student’s mother and teachers. The ADDES-3 Home Version, completed by Student’s mother, suggested that Student does not demonstrate Attention Deficit/Hyperactivity Disorder (ADHD) to a greater extent that the average of students his age. Rather, the results suggested more difficulties for Student in the Inattentive category, which included behavioral characteristics of: does not remain on task to do homework; has a short attention span; starts but does not complete homework; does not remain on task to prepare for quizzes; does not organize responsibilities; does not prepare for school assignments; and does not read or follow directions. Two of Student’s teachers completed the ADDES-3 School Version. Overall, the results suggested that Student demonstrates minor behavioral characteristics of ADHD, and again the scores supported a finding of more difficulties in the Inattentive category than in the Hyper-activity-Impulsive category. The results noted that Student often requires eye contact in order to listen successfully; omits, adds, substitutes or reverses letters, words or sounds when reading; fails to copy letters, words, sentences and numbers from a textbook; omits, adds or substitutes words when writing; is disorganized to the point of not having necessary materials; completes assignments with little or no regard for neatness; fails to perform assignments independently; does not perform academically at his ability level; and fails to make appropriate use of study time. 1 Atypicality addresses questions regarding acting strangely or nonsensically and being aware of others. Withdrawal addresses the ability to make friends, joining in groups and interacting with others. Learning problems addresses academic difficulties, poor grades, and difficulty keeping up the pace of the class. Leadership addresses joining groups, speaking up and working well under pressure. Functional communication addresses questions regarding clear communication, descriptions and explanations. 13. The District’s psychoeducational evaluation also assessed Student’s academic achievement. Lauri Carpenter assessed Student’s academic abilities. Ms. Carpenter did not testify at hearing; however, Parents raised no concerns about the validity of the academic assessments or disagreements with Student’s scores. 14. Ms. Carpenter administered the Wechsler Individual Achievement Test, Third Edition (WIAT-III), a standardized test, which included subtests in the areas of reading, writing, and math. Each composite of content area subtests were then combined and calculated to determine Student’s overall standard score in each of the areas based on age. In the Reading assessment, when compared to others his age, Student’s performed in the Below Average range. In Written Expression, Student performed in the Average range. In Math, Student performed in the Average range. 15. In summary, the psycoeducational assessment report indicated that Student has many strengths. He demonstrated a good source of foundational knowledge, especially when he was clearly and concisely asked a question. Student demonstrated better reasoning skills in regard to grouping meaningful information and topics, as compared to, abstract information. The report indicated that although Student does not have cognitive skills that are below those of his average peers, his relative strengths and weaknesses may provide for inconsistent performance. The report also indicated that emotional regulation, motivation, and resiliency should be a focus in Student’s educational planning. Student would be more likely to find success and confidence by his achievements on a day-to-day basis. 16. The District’s psychoeducational evaluation report suggested that Student may qualify for special education eligibility for SLD due to a severe discrepancy between intellectual ability and achievement in one or more academic areas. Student demonstrated a discrepancy between his cognitive abilities and academic achievement in Basic Reading Skills and Reading Comprehension, and also demonstrated processing deficits in Visual Perception and Attention. Although the evaluation raised concerns regarding Student’s attention and concentration capabilities, the assessments did not result in a finding of ADHD. Mr. Owen concluded that Student does not exhibit significant behavior or ADHD issues which would prevent him from remaining in a general education classroom; however, his academics require significant SAI, which need to be addressed in an SDC. 17. The District also completed a Speech and Language assessment as part of Student’s triennial assessment. Kelli Hillerud, a District Speech and Language Pathologist (SLP) assessed Student in areas of speech and language. Ms. Hillerud, has worked as a SLP at the District for five years. She has a California clinical and rehabilitation credential (CCC) and is also a licensed speech and language pathologist. Over the last five years, Ms. Hillerud has assessed Student twice in the area of speech and language, and has attended all three of Student’s IEP meetings. Parents did not raise any concerns regarding the validity or findings of Student’s speech and language assessment. To the contrary, Father praised Ms. Hillerud and described her positive relationship with Student as invaluable. 18. Student received speech and language services prior to his transition into the District and thereafter. He has received speech and language services from the District since 2006. Student’s Speech and Language Assessment Report, dated May 31, 2011, indicates that Ms. Hillerud reviewed Student’s history and prior assessments, and administered numerous assessment instruments to Student. 19. In the area of Language, Ms. Hillerud administered the Peabody Picture Vocabulary Test-4th Edition (PPVT-4A), which measured Student’s receptive vocabulary and served as a screening test for verbal ability. Student scored within the Average range. Student took the Expressive Vocabulary Test-2nd Edition (EVT-2A), which measured Student’s expressive vocabulary knowledge, through labeling and synonyms. Student scored within the Average range. Ms. Hillerud noted, however, that there was an 11 point difference between Student’s receptive and expressive vocabulary skills, which she considered significant. 20. Ms. Hillerud administered the Clinical Evaluation of Language Fundamentals4th Edition (CELF-4), in which the combined subtests evaluate word meanings and vocabulary (semantics), word and sentence structure (syntax and morphology), the rules of oral language used in responding and conveying messages (pragmatics), and recall and retrieval of spoken language (memory). Student scored within the Average range in the subtests of Word Structure, Formulated Sentences, Word Classes (both receptive and expressive), Sentence Structure, and Expressive Vocabulary. In the subtest of Concepts and Following Directions, Student’s ability to interpret, recall, and perform spoken directions of increasing length and complexity was slightly Below Average. In the subtest of Recalling Sentences, Student’s ability to listen to spoken sentences and repeat the sentences verbatim was in the Below Average range. Student’s score on the Understanding Spoken Paragraphs subtest, which assessed his ability to understand oral narratives and answer questions about the information presented, was in the Below Average range. This, in turn, indicated that Student has difficulty comprehending stories read aloud and has difficulty attending to stories that do not have pictures accompanying them. 21. Ms. Hillerud administered the Language Processing Test-Third Edition (LPT3) which assesses language processing, and was given to Student to evaluate his ability to process, organize and attach meaning to auditory information. Student scored within the Average range on all subtests. 22. Ms. Hillerud administered the Structure Photographic Expressive Language Test-III (SPECT-3), which provided an analysis of Student’s ability to use several common grammatical forms, as well as to perform rule-governed changes in sentence structure. Overall, Student scored in the Below Average range, and had significant difficulty with various grammatical forms. Ms. Hillerud noted that Student continues to make grammatical errors in conversation. 23. With regard to articulation, Ms. Hillerud administered the Goldman-Fristoe Test of Articulation-Second Edition (GFTA-2), which provided information about Student’s articulation ability. Student scored within the Average range in all areas. Ms. Hillerud noted that in spontaneous conversation, Student occasionally deletes sounds in words, but he has made improvements in that area. 24. In summary, Ms. Hillerud concluded that Student had made consistent progress in the area of speech and language, but he continued to demonstrate eligibility for the Language and Speech (LAS) program. Student continued to present with a deficit in the areas of grammar (morphology) and semantics, which included listening comprehension skills. His receptive language skills were slightly Below Average; however, this appeared to be due to a need for repetition, not due to an inability to understand language. 25. Student’s annual IEP commenced on June 1, 2011, and reconvened on June 17, and October 11, 2011. At the June 1, 2011 IEP meeting, the special education teacher and the SLP reported on Student’s progress on goals from the previous IEP. Student’s psychoeducational assessment and speech and language assessment were reviewed. The IEP team determined that Student continued to be eligible for special education and related services as a student with Speech and Language Impairment (SLI). Student’s accommodations and modifications were discussed and completed. 26. The IEP team also discussed and completed Student’s present levels of performance (PLOP). Student’s PLOP in the areas of reading, written expression, math and communication development indicated that Student had improved and made progress in each area. Improvement, however, does not equate to achieving grade level performance. Student continues to have difficulty completing tasks that have several steps, and assignments must be broken down into segments for him to be successful. As an example, on a written report, Student wrote a couple of sentences each day rather than continuously writing for the period provided. Further, Student’s PLOP in the Social/Emotional/Behavioral area indicated that Student has always gotten along well with peers. Recently, however, Student had been developing a negative attitude toward school which he expressed verbally and with physical motions, such as putting his head on his desk. It was noted that Student previously seemed to be eager to please his teachers, but now he does not want to try to do the tasks that are asked of him. 27. The IEP team discussed a continuum of services and placement. Although Student would remain in his current general education placement at Ocean Air for the remainder of the 2010-2011 school year, the IEP team recommended that for the 2011-2012 school year, Student be placed in the SDC at Torrey Hills. Student’s home school, Ocean Air, does not have an SDC, hence the offer of placement at Torrey Hills. Parents raised concerns about the proposed placement, and the District offered to schedule an observation of the Torrey Hills SDC. It was also determined that Student qualified for the Extended School Year (ESY) program. At the conclusion of the June 1 IEP meeting, the District’s offer of FAPE for the 2011-2012 school year consisted of enrollment in the SDC at Torrey Hills with mainstreaming into the third grade general education on that campus. The District offered DIS of speech and language services (both group and individual) of 90 minutes per month. Counseling and guidance services were offered for 90 minutes per month. Parents did not want Goal #1 addressing self-regulation and its accompanying DIS counseling included in the IEP. Parents did not consent to the entire IEP at this time. 28. Student’s IEP meeting reconvened on June 17, 2011. The school members of the IEP team repeated the recommendation for placement in an SDC. The special education teacher acknowledged Student’s 2010-2011 growth in math and writing content and ideas, but stressed that Student’s reading delay of two years was at a level that could not be adequately addressed with the support available at Ocean Air. The recommendation for an SDC was primarily for replacing Student’s English and language arts instruction with specialized academic instruction, and presenting Student’s math instruction using third grade curriculum with specialized academic instruction. The IEP notes further reflect that Mother shared her observation of the SDC, and reported that she did not see Student fitting into the program. She believed that the transition would be too great. Mother expressed concern that Student would not have established social relationships at Torrey Hills. Father also voiced his concerns, and indicated that it was critical for Student to remain at Ocean Air for his emotional well-being. In an attempt to allay parental concerns, other IEP team members shared positive experiences that other students have had in moving to the Torrey Hills program. 29. The IEP team also discussed the ESY program and created new IEP goals which focused on reading for the summer. This was intended to provide greater instructional time in reading. The ESY program was located in an SDC at Sycamore Ridge Elementary School (Sycamore Ridge) and serviced special education students from all of the District’s elementary schools. Although Parents disagreed with third grade placement in an SDC, Student did attend the ESY program in the SDC at Sycamore Ridge. 30. The IEP team reviewed Student’s goals and four goals were revised. Pursuant to the signature page of the IEP document, Parents consented to the goals, with the exception of Goal #1. The IEP team agreed to assess Student in visual processing and occupational therapy (OT) in order to address concerns regarding Student’s fine motor skills and visual perception, and to rule out past concerns. 31. The District set another IEP meeting for August 8, 2011; however, in lieu of this IEP meeting, Parents and the District participated in an alternate dispute resolution (ADR) on August 22, 2011. 2 At that time, the parties entered into an interim agreement in which Student would remain at Ocean Air in the fall of 2011, and a review IEP meeting would be held 45 calendar days after the beginning of school. Student’s special education services would be increased to 50 percent of his school day, and an informal instructional aide would be assigned to Student, where available. The previously agreed upon goals and DIS were instituted as well. 2 The parties stipulated at hearing that the pertinent terms of their settlement agreement could be shared as it related to the District’s offer of FAPE at issue in this hearing. 32. The District completed Student’s OT assessment on October 5, 2011. Erin Sullivan-Washburn, a District Occupational Therapist administered the OT assessment. Ms. Sullivan-Washburn did not testify at the hearing. Ms. Sullivan-Washburn administered the Brunicks-Oseretsky Test of Motor Proficiency-Second Edition (BOT-2), which tested Student’s fine motor skills, visual motor skills, and handwriting. Student scored in the Average range, except in the isolated area of fine motor precision. Student was given the Test of Visual Perceptual Skills-Third Edition (TVPS-3) to assess his visual perception. Student scored within Average range on all comprehensively scored areas. Ms. Sullivan-Washburn also administered the Sensory Processing Measure (SPM), which is intended to measure sensory processing issues, praxis and social participation. Student scored in the Borderline range in Planning and Ideas, indicating that Student has difficulty organizing his materials and completing tasks with multiple steps. Further, he does not perform consistently in daily tasks. Overall, in OT areas of concern, Student presented with average fine motor skills and visual perceptional skills. 33. As part of its 45-day review of Student, the District conducted an addendum psychoeducational assessment. The Addendum Report is dated October 11, 2011, and was prepared by Heather Mulno, a School Psychologist for the District, and Dana Reynolds, an Educational Specialist for the District. Ms. Mulno has been School Psychologist for the District for eight years. She holds a M.A. in psychology and a PPS credential. Ms. Mulno is currently a School Psychologist for San Diego Unified School District. Ms. Reynolds completed the academic portion of the addendum assessment. Ms. Reynolds is an RSP teacher at Ocean Air, and has been an SDC and RSP teacher for 13 years. She is an Educational Specialist in autism and mild/moderate disabilities. 34. The assessment was also intended to revisit the area of visual processing after Student obtained his new eyeglasses. At the time of the assessment, Student had entered the third grade and was currently receiving services within the general education setting with pull-out resource academic services in the areas of reading, writing, and math. The assessment included classroom and recess observations by Ms. Mulno, teacher interviews, selective subtests of the WJ-III Cognitive, selective subtests of the WISC-IV, and classroom performance assessments of the Developmental Reading Assessment (DRA), Student’s writing samples, and Student’s performance on research-based reading intervention program data. 35. On September 27, 2011, Ms. Mulno observed Student during his math lesson. Student received one-to-one instruction in the back of the room with an instructional aide during the same time that the general education teacher was providing whole group instruction on “Sums and Properties.” Student was being given the opportunity to receive repetition of instructions read aloud, additional prompting, and an opportunity to ask individual questions. Student was unable to keep up with his peers in completing the math assignment. Further, Student was observed to exhibit several behaviors during this period, including yawning and ignoring re-direction from his aide. Student appeared to lack the internal motivation to complete the assignment at hand with the instructional support provided. Ms. Mulno was uncertain if Student’s assignment was above his skill level ability or whether Student’s motivation and attention skills were the cause of his behaviors. 36. Ms. Mulno observed Student during recess on October 6, 2011. While there was a very large whole group recess activity with music going on, Student ate his snack alone and then found two boys to run around with and talk to at recess. He did not participate in the group activity. 37. On October 10, 2011, Student was observed in the Resource Room working in a one-to-one setting with the special education teacher. Student used his fingers to count and did not use the visual objects to support the instruction. With individualized instruction, Student was able to perform more accurately. 38. Academically, Student’s DRA level indicated that while Student is in the third grade, he is currently working on a first grade level in reading and reading comprehension. In June 2011, Student scored a fluency level of the first grade at 58 words per minute. By October 2011, Student’s fluency had increased to the second grade level, but with skills of only 30 words per minute. Based upon his writing samples, Student is currently working on first grade writing standards. Lastly, in math, Student currently performs on a second grade level. He continues to use his fingers and does not use manipulatives when offered. Additionally, Student does not display automaticity in his math recall facts. 39. In summary, while Student displayed many significant strengths, his weaknesses and needs remained overwhelming. Student still requires specialized instruction in reading, writing and math. 40. The IEP meeting reconvened on October 11, 2011, to discuss the OT and Addendum assessments, and consider Student’s progress in the regular third grade classroom. The IEP notes reflect that a significant portion of the IEP meeting involved presentation of current information from Student’s third grade teacher, Leah Hemingway. Ms. Hemingway has been a general education teacher in the District for eight years. She has a multi-subject teaching credential and is also credentialed to teach special education and RSP. Ms. Hemingway described Student’s participation in math. The instructional aide often guides him through the steps or reviews the previous lesson with him. If Student grasps a concept, he stays for whole group instruction, but requires review with the aide the following day. Math is also reinforced during Student’s specialized academic instruction, where Student usually reviewed what was taught in class the same day. Additionally, Student’s assignments are typically shortened, and while his test scores to date have been good, Student requires the testing be given in a quiet setting with his one-to-one aide, read aloud, and with breaks. It was Ms. Hemingway’s opinion at the IEP meeting that, with new concepts being introduced in math, Student will have significantly increasing difficulty, given the complexity of the materials and pace of the instruction. Ms. Hemingway drew a parallel concern regarding Student’s performance in other areas. Although Student’s social sciences had been primarily whole group to date, the next unit would be more complex, and require more reading, writing, and academic language. As an example, the third grade science unit towards the end of the year would require a five paragraph essay. Both she and Ms. Reynolds, Student’s RSP teacher, indicated that the school year thus far had primarily been a review of second grade curriculum. Both stressed that once new materials were introduced and became the focus of instruction in Student’s third grade class, Student would require support beyond what is currently provided. Student already receives three hours per day, nearly 50 percent of his school day, of SAI from the RSP teacher. As Ms. Reynolds pointed out at hearing, she considers herself an above average educator, yet she has only made small progress with Student. As a result, the school-based IEP team members agreed that they have maximized the services available at Ocean Air for Student, yet he still requires a higher level of service. 41. Parents still expressed to the IEP team their concerns that changing Student’s placement to an SDC at Torrey Hills would not be good emotionally for Student. Again, District members attempted to allay the fears. Ms. Reynolds reported that Student is eager to attend his SAI sessions. He already interacts and works with other students with different disabilities during SAI. To the contrary, in the general education third grade class, Student does not interact with peers. He is quiet, reserved, and needs facilitation to find a partner or small group. Ms. Mulno opined that Student’s deficits were overwhelming him in his third grade placement. Student was not only struggling with the academics, but was showing signs that he was struggling with his self-identity and security in the general education environment. Ms. Hemingway concurred, and reported that as the academic rigors increased, Student developed more and more avoidance behaviors, such as more frequently requesting to go to the bathroom during more challenging or difficult activities. Further, she has observed that Student is more uncomfortable in group or partnered activities, and he has not made personal connections with peers in class. All three opined that Student’s social and emotional status would be positive in the SDC. When placed in an SDC setting where Student could progress and succeed, Student would feel more comfortable, and his self-esteem would increase. 42. Based upon the discrepancy between Student’s cognitive skills and his academic performance, the IEP team changed Student’s primary eligibility to specific learning disability (SLD), with SLI as his secondary special education eligibility classification. The final offer of FAPE presented at the October 11, 2011 IEP meeting consisted of 15 hours per week of SAI provided in an SDC at Torrey Hills; speech and language DIS consisting of 30 minutes, twice a week; and DIS school counseling for 90 minutes per month. Parents finally consented to Goal #1, but did not consent to placement in the SDC at Torrey Hills. 43. Parents both testified at hearing and voiced similar concerns regarding Student’s proposed placement in the SDC at Torrey Hills. Without a doubt, both parent’s testimony was authentic and sincere. Father described Student as a wonderful child who is kind, loving, generous, patient, and happy. Further, Student loves his school, and Student’s progress reports indicate that he is making progress. Father was highly complementary about the Student’s program and the work done with Student. He described the District teachers and staff as “good people,” a “crackerjack” staff! Having said such, however, Father, who is a board certified psychiatrist, believes that the District has miscalculated the emotional impact a change to the SDC at Torrey Hills will have on Student. Father reemphasized that Student loves his school, and is very attached to the Ocean Air staff. Father believes this attachment is vital to Student’s self-esteem. Student thinks he is doing well in school, and he will be emotionally devastated if he is transferred to Torrey Hills. When asked by the ALJ if he would have agreed to an SDC placement if the SDC were located at Ocean Air, Father responded that he most likely would have consented. 44. Mother visited the SDC at Torrey Hills and was not overly impressed. She viewed the pupils in the SDC to be very different from Student. Many had behavior issues, while Student does not. She emphasized that Student is unique, and would not fit in with the others in the SDC. Mother describes Student as a “proud Oceanair.” His “Oceanair” identity is very important to him. He has attended Ocean Air since kindergarten. Student’s siblings attend Ocean Air. He has friends there. Mother reports that Student gets upset when the possibility of changing schools is discussed, as he likes his school, and would miss his friends. When it comes down to his identity, Student will lose it in the move to Torrey Hills. 45. Mother remained very supportive and complimentary about the teachers and staff at Ocean Air, and reported that Student was making progress and doing well in his current placement. At Torrey Hills, Mother saw no evidence that the move to the SDC would provide Student with greater academic opportunities. Student would have a similar teaching ratio and similar mainstream class time. Parents emphasized their skepticism to the District’s representation that the typical child in the SDC at Torrey Hills could improve one to two grade levels in one year. Parents correctly pointed out that the District presented no documentation to back up this claim. 3 They consider the IEP team’s rationale for placement in the SDC program to be speculative at best, and uncertain to be helpful to Student. Mother stressed that she did not want to speculate with her child. 46. Mother believes that Student’s strengths were not considered by the IEP team. Parents argued that on five different cognitive tests, given and scored by the District, Student has remarkably increased in cognitive abilities. Further, the IEP team was aware that, with the exception of reading, Student had made progress in his academics. As described by Parents, these exceptional changes were made within Student’s current setting. It is Parents’ belief that Student needed to be brought up to speed in his cognitive areas before he could start to take advantage of learning opportunities. Parents argued that Student needs the positives of his current setting in order to take advantage of his improved cognitive skills. Therefore, Student has not had a fair chance to see whether these recently developed skills will help him learn in a lesser restrictive environment, such as Ocean Air. Parents expressed a serious concern that the move to the SDC at Torrey Hills would cause sadness and anxiety which would result in regression instead of progress. Ultimately, Parents emphasized their belief that their concern for a devastating transfer to Torrey Hills outweighs the unknown benefit of the SDC. 3 The ALJ also questions the District’s claim, and gives little weight to the statement. 47. Parents enrolled Student in Banyon Tree, a private, non-profit reading program, during the summer of 2011. Katherine MacIsaac, the Director and Program Specialist at Banyon Tree, testified on behalf of Student. Ms. MacIsaac has a M.A. in special education and a Mild/Moderate teaching credential. Ms. MacIsaac reported that Student attended a summer program at Banyon Tree for one hour per week. She indicated that Student had made progress in his current placement, and his reading skills were slowly improving. In her opinion, however, Student requires more individualized or one-on-one services for reading. In that type of teaching, adjustments can be made immediately and on an ongoing basis. 48. Linda Hagerty, a Program Specialist for the San Diego County Office of Special Education (SELPA), credibly testified at the hearing. Ms. Hagerty has extensive experience in special education and holds a multi-subject teaching credential, as well as a credential as an Education Specialist in special education, both mild/moderate and moderate/severe. Ms. Hagerty is Student’s case manager and has known him since his transition into the District. She attended the June 17 and October 11, 2011 IEP meetings, and concurred with the offer of the SDC at Torrey Hills. Academically, Student needed more help in reading. Increasing SAI at Ocean Air to 50 percent of Student’s school day still did not meet Student’s needs. Thus far in the third grade, Student had only been reviewing information learned in the second grade. She opined that Student would not be able to move forward and keep up with new material. 49. Ms. Hagerty explained that although the time Student would spend in the SDC (54 percent) was similar to the time currently spent in the resource room for SAI (50percent), the placements are significantly different. The SDC has between eight to 12 students who are taught and supervised by a special education teacher. The special education teacher can smoothly reinforce lessons, and has more control to adjust individual programs or lessons as needed. Student’s current SAI is presented in the resource room with over 20 other students of varying grades and ages. In the SDC placement, Student would have one less hour in general education, however, he would still attend the general education classroom for the remaining curriculum, such as social studies, and he would have the same access to typical peers. 50. Ms. Hagerty was aware of the parental concerns regarding Student’s social and emotional well-being. However, she believed Student could make the transition to Torrey Hills. In her opinion, if Student received the academic support he needed in the SDC, ultimately his self-esteem would increase. Further, during the ESY, Student had participated in an SDC program, at a different school with no difficulty. He would engage and play with others in the SDC. She believes that Student can foster new friendships at Torrey Hills. This opinion was reiterated by Ms. Hillerud, who described Student as very adaptable. 51. Kay Francis, Student’s second grade teacher testified at the hearing. Although Father stipulated to Ms. Francis’ educational background and credentials, it is noted that Ms. Francis has been a general education teacher in the District for 16 years. Ms. Francis also attended the June 1, 2011 IEP meeting, and voiced her concerns about Student’s academic progress in reading. She also addressed Student’s emotional behaviors in her class by describing him a child who did not like being at school, who was withdrawn and unhappy. He was unable to keep up with the class in reading and writing. Ms. Francis reported that Student knew that his academics were not up to those of his peers, and therefore he avoided participation in class, and seemed to want to be invisible. She also noted that Student looked forward to his classroom pull-out for SAI. Ms. Francis agreed with the SDC recommendation and believes Student would gain much in a smaller class, with a specialized curriculum, and SAI. She also concluded that Student would feel more comfortable in an SDC and would recognize that other kids had problems like him. 52. Ms. Francis’ recollections of Student in the second grade were supplemented by Ms. Carpenter, who had administered the academic portion of Student’s June 1, 2011 psychoeducational assessment. Ms. Carpenter also provided Student’s SAI during the second grade. Based upon her experience providing SAI, she was not surprised with his Below Average assessment scores in all areas of reading. In spite of the progress reported in Student’s PLOP, she opined that Student still needed an SDC, as Ocean Air could no longer meet his academic needs. Further, she did not believe the transfer to Torrey Hills would be detrimental. To the contrary, she believed the proposed transfer to be beneficial for Student. He thrived in his SAI pull-out, whereas he was less responsive in the general education classroom. He would no longer be singled out in his classroom or appear different from his peers. Further, he already knew some of the kids in the SDC from his ESY placement. 54. Student was unable to keep up, and began exhibiting more avoidance behaviors. Ms. Hemingway reported that she has not seen Student make progress in the third grade. He has become more uncomfortable in group or partner activities, and has not made personal connections with peers in the class. Ms. Hemingway concluded that if Student remains in her class, he will not progress, but will fall further behind. 55. Ms. Mulno, who administered Student’s addendum psychoeducational assessment, provided clear and dynamic testimony at the hearing. In describing her assessment of Student, she explained that she looked at the whole child and how all areas of the assessment correlated together. She was particularly concerned about Student’s DRA scores in reading. Student’s low scores indicated that he was still struggling despite the SAI interventions being provided. Student had stagnated, and was reading at the same level as last year. While Student has displayed higher cognitive skills, they were not supporting his academic needs, hence the additional eligibility of SLD. Although Ms. Mulno acknowledged Student’s cognitive potential, she emphasized that he needs more intensive and structured learning to achieve his academic potential. While Student’s goals are appropriate for him, they can not be achieved in the general education classroom, but can be achieved in the SDC. SDC placement with a SDC special education teacher and a modified curriculum could provide profound benefit to Student. Lastly, as both she and Ms. Reynolds concluded, the success that Student would find in the SDC would outweigh any temporary, negative reactions to the transition to Torrey Hills. 13. Additionally, to the maximum extent appropriate, a child with a disability must be educated with children who are not disabled and in the least restrictive environment (sometimes LRE). (20 U.S.C. § 1412(a)(5)(A); 34 C.F.R. § 300.114(a)(2) (2006).) When determining which placement is the LRE, consideration is given to any potential harmful effect on the child or on the quality of services he or she needs. (34 C.F.R. § 300.116(d) (2006).) Further, the district must consider: (1) the educational benefits of placement fulltime in a regular class; (2) the non-academic benefits of such placement; (3) the effect the child would have on the teacher and children in the regular class; and (4) the cost of mainstreaming the child. (Sacramento City School Dist. v. Rachel H., (9th Cir. 1994) 14 F.3d 1398, 1404 (Rachel H.).) A child with a disability should be removed from the regular educational environment only when the nature or severity of the disability of the child is such that the education in regular classes with the use of supplementary aids and services cannot be achieved satisfactorily. (Id.) California incorporates these requirements in Education Code sections 56031 and 56342. 16. A student’s placement is driven by the contents of the IEP. T he appropriateness of an IEP is measured in part by “whether the child makes progress toward the goals set forth in his IEP.” (County of San Diego v. California Special Education Hearing Office (9th Cir. 1996) 93 F.3d 1458, 1467.) Progress on IEP goals is an important benchmark for determining whether a disabled child is receiving educational benefit. (Park, supra, 464 F.3d at p. 1153.) As previously noted, with the exception of the determination of Student’s placement, Parents agreed with the goals and supports offered in the IEP. (Factual Findings 29 and 42.) The evidence supports the finding that the District can no longer effectively implement those goals and services in a general education classroom with even a 50 percent SAI pull-out support. (Factual Findings 16, 26, 31, 35, 38, 40, 41, and 48-54.) Although Mother does not believe the SDC would be a good fit for Student (Factual Finding 28), the primary parental concerns focus on Student’s anticipated detrimental emotional issues which will arise by attending a school other than Ocean Air. (Factual Findings 27, 28, 41, and 43 through 47.) The determination of placement, however, is determined by Student’s needs as defined in his IEP, not by the location or site of the placement. While Parents’ perception that Student has made “some” academic progress at Ocean Air with the support of an exceptional teaching staff, the District has shown that Student continues to present with significant needs. The District created a 45-day interim placement in general education, and increased Student’s SAI to 50 percent, yet, Student failed to make progress. (Factual Findings 31 and 53.) Student needs more specialized education than he can obtain in the regular classroom. 17. The second consideration of placement is the least restrictive environment. A child with a disability should be removed from the regular educational environment only when the nature or severity of the disability of the child is such that the education in regular classes with the use of supplementary aids and services cannot be achieved satisfactorily. (Legal Conclusion 13.) Further, California law requires that a school district must consider: (1) the educational benefits of placement full-time in a regular class; (2) the non-academic benefits of such placement; (3) the effect the child would have on the teacher and children in the regular class; and (4) the cost of mainstreaming the child. (Rachel H., supra, 14 F.3d at p. 1404; Ed. Code, §§ 56031 and 56342.) In this matter the determination of the LRE is primarily concerned with considerations (1) and (2). There was no evidence presented to suggest that Student has a negative effect on his teacher or his third grade classmates. To the contrary, all District witnesses spoke well of Student, and Student has always gotten along with peers. (Factual Finding 26.) There were no contentions that the cost of mainstreaming was an issue or impacted the IEP team’s decision to offer a SDC placement. 18. The evidence overwhelmingly supports a finding that Student’s educational placement in a regular third grade classroom can no longer support Student’s academic needs. Student’s triennial assessment determined that Student has multiple academic areas of need, especially in reading and writing. (Factual Findings 3-16, 19, 27, and 29.) The District agrees that Student’s cognitive skills have increased; however, his academic performance has not significantly improved. (Factual Findings 5, 15, and 53.) In fact, the severe discrepancy between Student’s cognitive and academic abilities led to the Student’s additional special education eligibility under SLD. (Factual Finding 42.) In spite of an additional ESY program which emphasized reading, and a private summer reading program in which Student made some progress, Student is still struggling with the review of second grade materials. His teachers are concerned that Student will become more overwhelmed as his class progresses to new materials. (Factual Findings 29, 31, 47, 48, 53, and 54.) Even Student’s witness, Ms. MacIsaac, opined that Student needed more structure, and individualized or one-to-one services for reading in which adjustments could be made immediately and on an ongoing basis. (Factual Finding 47.) Although Ms. MacIsaac believed Student could make progress in a general education setting, her recommendations actually describe the intensity of services provided in the SDC. 21. Of equal importance is the testimony of Student’s second and third grade teachers. Ms. Francis, Student’s second grade teacher, described Student as a child who did not like being in school, who was withdrawn and unhappy. This was due, in part, to the fact that Student could not keep up in class, and therefore he began developing avoidance behaviors. On the other hand, Student looked forward to being pulled out of class for SAI. Ms. Francis concluded that Student would feel more comfortable in the SDC and would recognize that other kids had problems like him. (Factual Finding 52.) Ms. Hemmingway, Student’s third grade teacher, concurred, and observed that, as the curriculum gets progressively more difficult, Student exhibits more avoidance behaviors. Moreover, Student has become increasingly uncomfortable in group and partnered activities, and has not made connections with peers in his class. (Factual Finding 53) The District appropriately considered and addressed Parents’ concerns throughout the IEP process. (Factual Findings 27, 29, 30, 31, 33-38, 41, and 49.) The District’s conclusion that it could no longer meet Student’s obvious academic needs in a general education classroom, coupled with Student’s increasing avoidance behaviors and declining self-esteem out weighs Parent’s assumptions that the transition to the SDC at Torrey Hills will emotionally harm Student. 22. In summary, the focus on placement is on the placement offered by the school district, not on the alternative preferred by the parents. (Rowley, supra, 458 U.S. at p. 197; Gregory K., supra, 811 F.2d 1307 at p.1314.) As long as the school district’s program is designed to meet the student’s unique educational needs, is reasonably calculated to provide educational benefits, and comports with the IEP, the district has provided a FAPE. (Ibid.) It is the consensus of all District educators and IEP team members that SAI in the resource setting had been exhausted at Ocean Air, and Student is spending more time in pull-out with SAI and LAS than he is spending in the third grade classroom. Student’s deficits overwhelm him in general education, and he has not made progress since second grade. Student’s aide would end up carrying him, resulting in Student being “in” the third grade classroom, but not “part” of the class. (Factual Finding 40.) Further, Student’s IEP goals are appropriate; however, while the goals can be met in the SDC, they cannot not be met in the regular classroom. (Factual Findings 54.) The District does not operate a SDC on the Ocean Air campus, thereby requiring a transfer to Torrey Hills. (Factual Finding 27.) This is not to say that Parent’s concerns are to be dismissed, and the District staff is acutely aware of the remaining parental concerns. Nonetheless, the testimony regarding Student’s future social/emotional well-being, whether it be stressful or successful, was filled with speculation. While it is true that the IDEA expresses a strong preference for mainstreaming, it does not mandate full inclusion in regular classes, and school districts cannot lose light of their obligation to provide a FAPE. (Modesto City School v. Student, 6 ECLRP 40 (SEA CA 2008); OAH Case No. 2008307737/2008040702 (2008).) 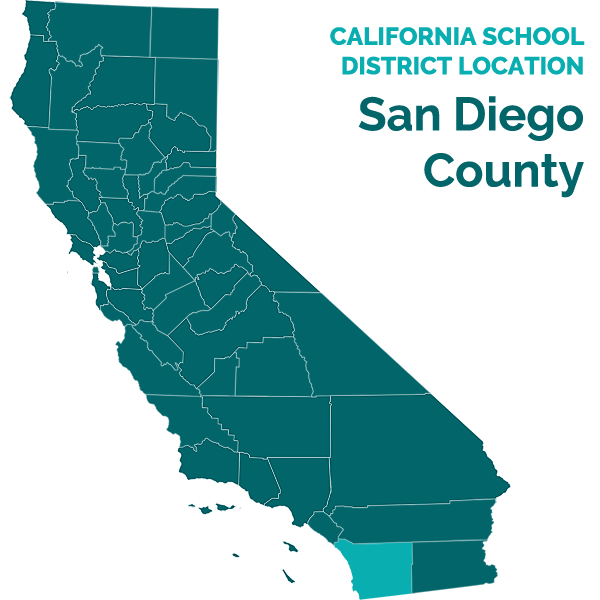 The District’s witnesses all concluded that the benefit of the SDC, along with the success Student will experience there, outweighs any negative reactions Student might experience in the transition to Torrey Hills. The IEP team was faced with two choices: (1) leave Student in general education which can no longer support him academically and which is clearly frustrating to Student; or (2) move Student to an SDC where his agreed-upon IEP can be appropriately implemented. The District’s offer of placement in the SDC at Torrey Hills constitutes a FAPE in the LRE. The District’s requested relief is granted. The Individualized Educational Program created for Student over the period of June 1, June 17, and October 11, 2011, constitutes a free appropriate public education in the least restrictive environment. The District prevailed on the sole issue of the complaint.